My outlining has really taken off in earnest this week. I definitely have some big revisions in mind for The Warden of Everfeld: Memento, and dropping the synopsis on this site a couple days ago was invigorating. However, I’ve decided to let the alpha manuscript of WoEM (mostly) sit tight through National Novel Writing Month so I can focus on other aspects of my grand writing scheme. Despite this focus, I have not been plugging away at an outline for The Warden of Everfeld: Legacy, my project for NaNo this year. I have the prologue and first three or four POV sections outlined out, but after that? I’m not too concerned. So I’ll call myself a semi-pantser this year. I have some idea of where I’m going, but only for the book’s opening. With a history spanning a millennium and far-reaching changes occurring across Úr’Dan, the subcontinent that is home to the Feldings and various other peoples, I haven’t been able to resist the urge to plot their histories. Having created this world and with at least a vague idea of what it looks like, world-building feels like I’m an explorer discovering uncharted lands and the people who inhabit them. Through writing WoEM, I’ve learned how to allow the environment I’ve created dictate the cultural norms of the people who live there, rather than trying to shoe-horn certain traditions into a culture simply because I like them. 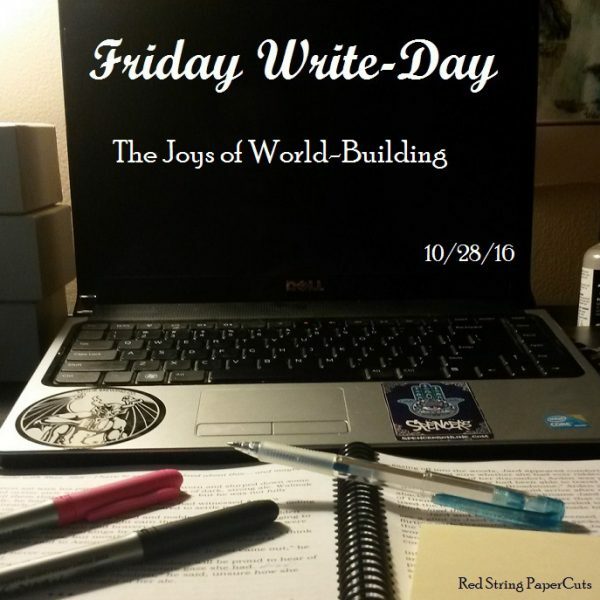 World-building keeps the creative juices flowing and inspires more stories! While I have solid ideas for my first three books, shaping Úr’Dan is a great way for me to cut my teeth on the other stories I haven’t yet told. I had a real live conversation last night with Present Wife about socioeconomic mechanisms for designing a fictional trade city. Who does that besides someone obsessed with world-building?! I’m neither an economist nor a sociologist, but these are the things that occupy my mind when I’m not singularly focused on a particular novel. For those of you with me last year for NaNoWriMo, I used themes from my novel as subjects for my Haiku Sunday series throughout November. I’m doing the same thing this year, so be on the lookout for story-themed haiku each Sunday. Now with my synopsis posted on the site, I think it’s time I start providing you all with more details about this world I’ve been building for six years. I’ll have at least one such post for November in a format yet to be determined. I also want to start refurbishing older posts, especially from 2014, since most of those have at most 10-15 views total! So I think I’ll rework and update a couple of them to post in November as well. Are you ready for NaNo?! I have conversations like that with my husband too! I love world building. I don’t think I am quite ready for NaNo yet but I am way more ready than last year. Good luck! I’m not sure I will ever feel ready for NaNo haha. I tend to just dive in headfirst and see if I can make it to the other side 🙂 Good luck to you too! With a lotta luck, by the end of NaNo I should be ready to print out a manuscript to send your wayyyyyyy. Are you quaking with anticipation? Also: I think I’m more excited about your story themed haikus this year because I’ve now read your book… I shall be looking for clues!!! I demand the haikus be loaded with boatloads of foreshadowing? Hah please?